We started school vacation off with a bang – 4 soccer games over the weekend and then a trip to Mystic, CT on Monday. I thought the aquarium was going to be the highlight of the trip, but it was so crowded we could hardly walk around. We left after only a few hours (thank you family membership for the freedom) and headed over to the seaport instead. Okay, so the seaport isn’t exactly a hidden spot. It’s well advertised, has loads of parking and is very prominent. But we just discovered it yesterday, so for us, it was a fun surprise. Unlike the aquarium, we pretty much had the seaport to ourselves. There were a few other families enjoying the good weather, but the kids had unfettered access to everything. And look at everything, they did (try to leave off the Yoda voice there). They enjoyed the ships the most. Ever wondered what it was like to hunt for whales in the late 1800’s? 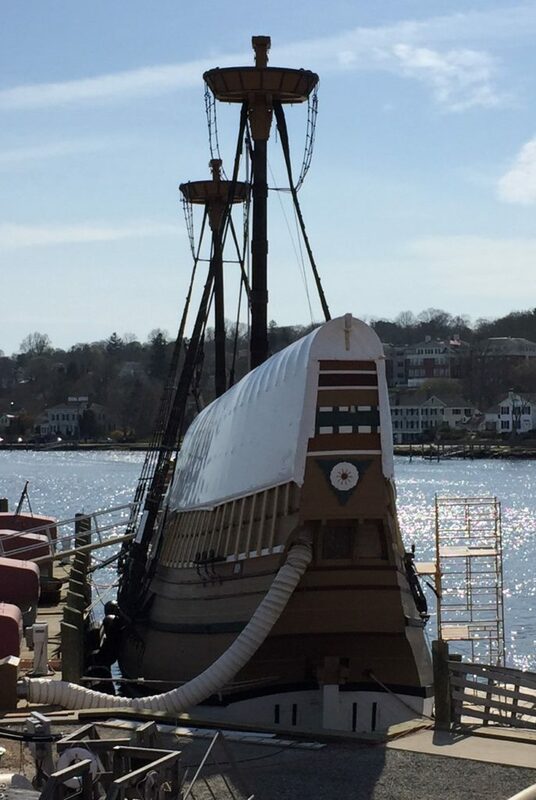 You can go aboard the Charles W. Morgan to see. 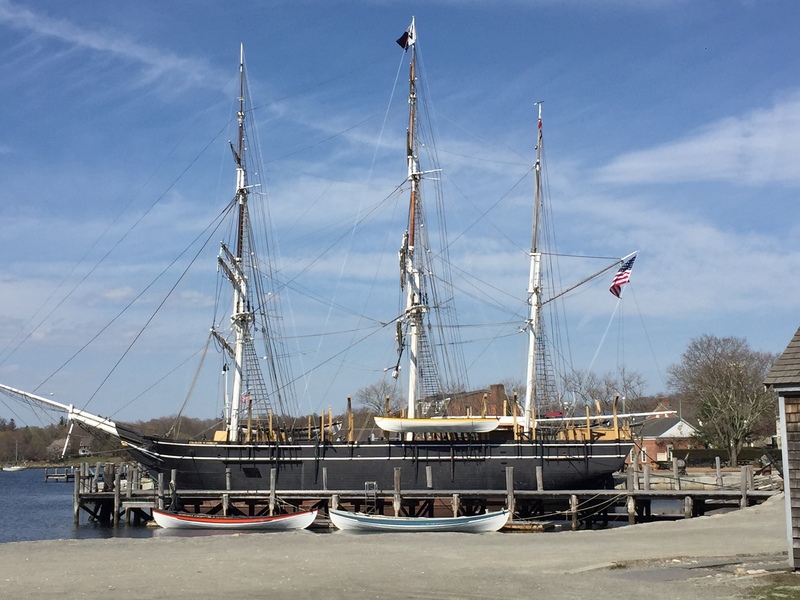 This is a fully restored, wooden whaling ship that first set sail in 1841. Most of her voyages lasted 3 years or more, and even though the ship looks expansive, the kids found it hard to figure out how the crew survived below deck in the tight quarters. The dangers of whaling and the process of rendering a whale were easy to visualize seeing the ship in person. 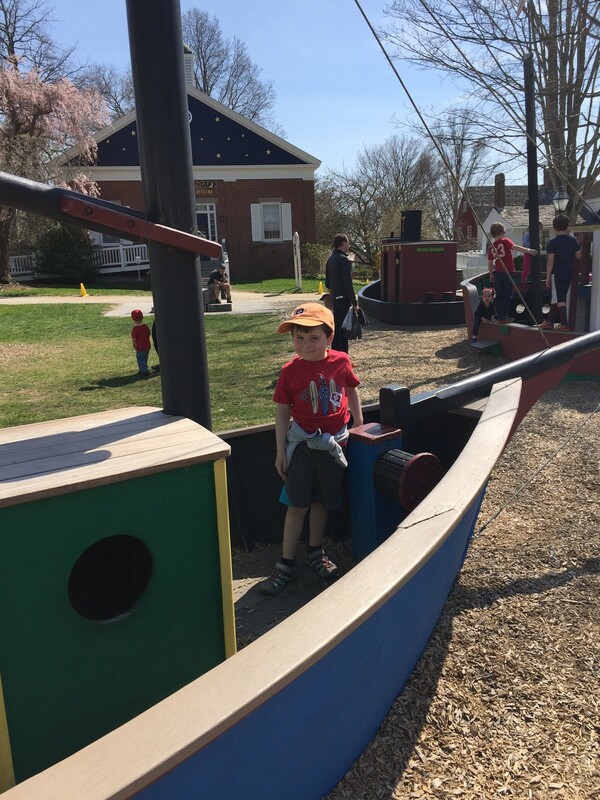 The seaport also has a small children’s museum, a planetarium and a playground with mock ships, all clustered in one area. We saved the indoor stuff for another time, but my kids had fun in the playground (even Number 1). Surprisingly, the shipwreck Australia was a favorite of all the kids. The schooner Australia, originally named Ella Alida, was built in 1862. Throughout her years she served as a yacht, a Civil War smuggling coastrunner and a floating dormitory, among many jobs. The remaining hull of the ship is on display inside a building near the shipyard. 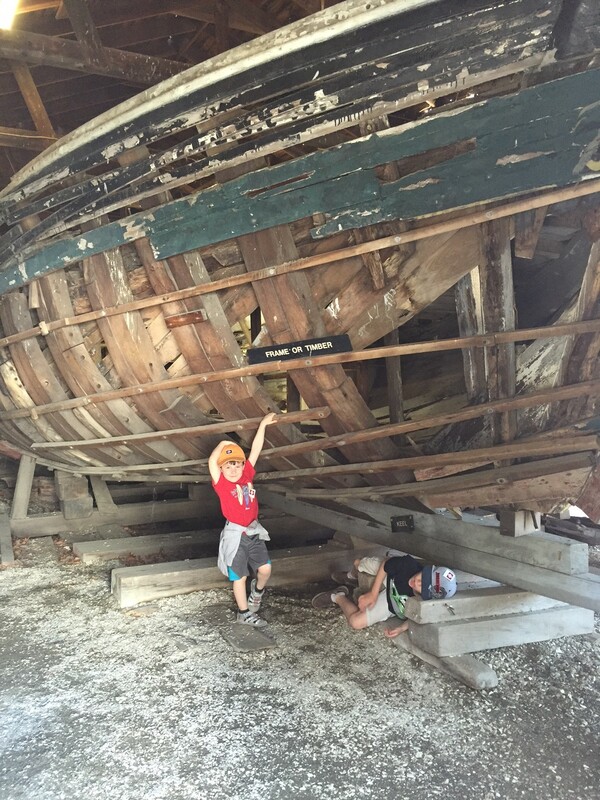 You can walk all around, over and through the ship and observe the inner structure of a wooden ship. Since these are just a few highlights among many, we will definitely be making a return trip!